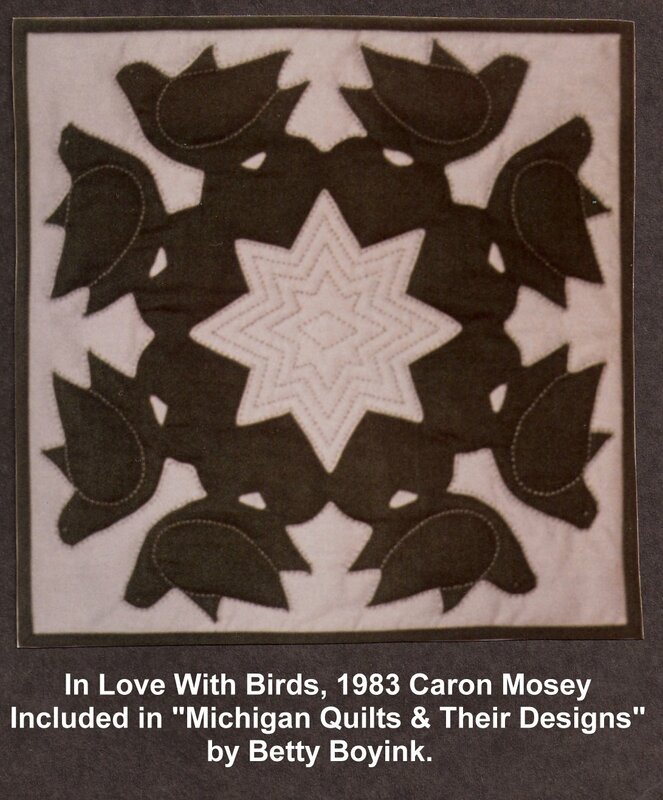 “In Love With Birds,” 1983 12 inches square. 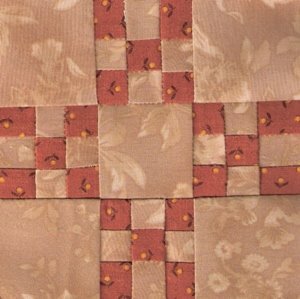 I made this log cabin in my first few years of quilting… full size, but I don’t remember who I gave it to. 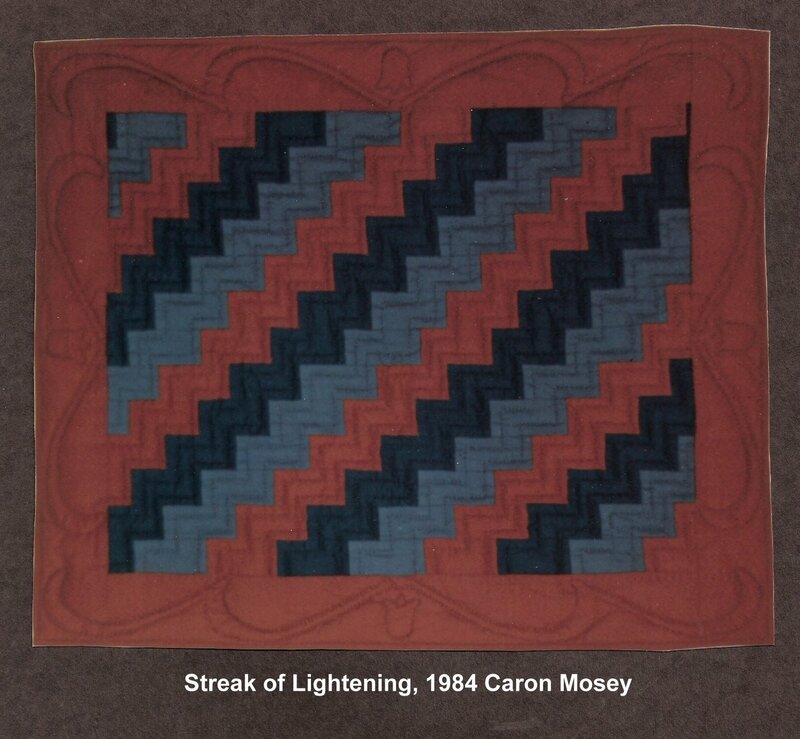 It is the only quilt I ever tied. 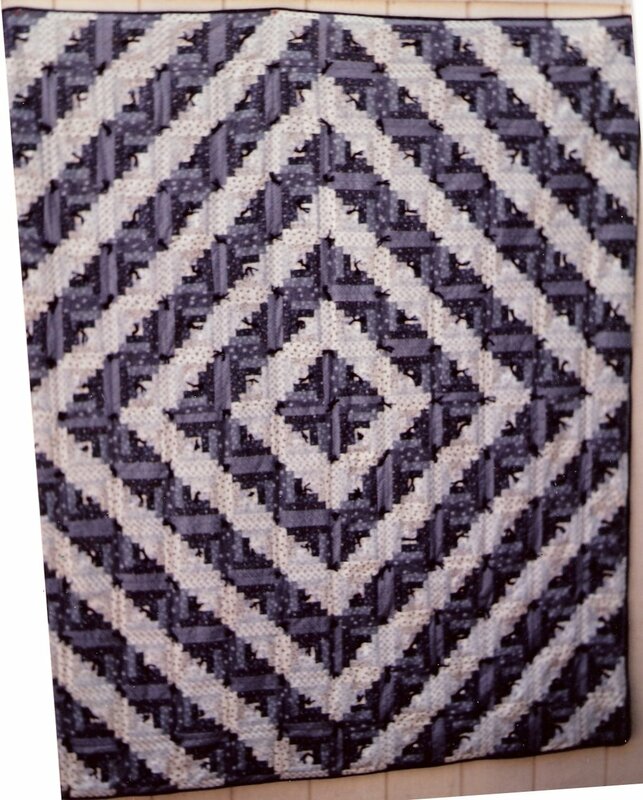 This little quilt is only 16 by 19 inches, and was made in 1984. I did this little block yesterday for my DJ quilt… J7 – Chicken Tracks. I paper pieced it because of all the tiny little squares. Not thrilled with how it turned out, but it’s done. I’ll post more later… we’re off to the Detroit Institute of Arts to see an exhibit. Have a fantastic day! 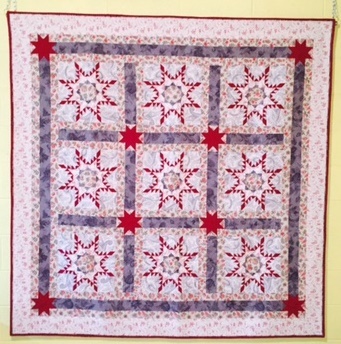 Hi Caron,What a lovely log cabin quilt! I love the colors!I also enjoyed seeing the pictures from your down the memory lane post! The retirement quilt you made for your Dad is amazing!